I would like to add a link to buy my ebook on my Facebook page but I can't find it anywhere. 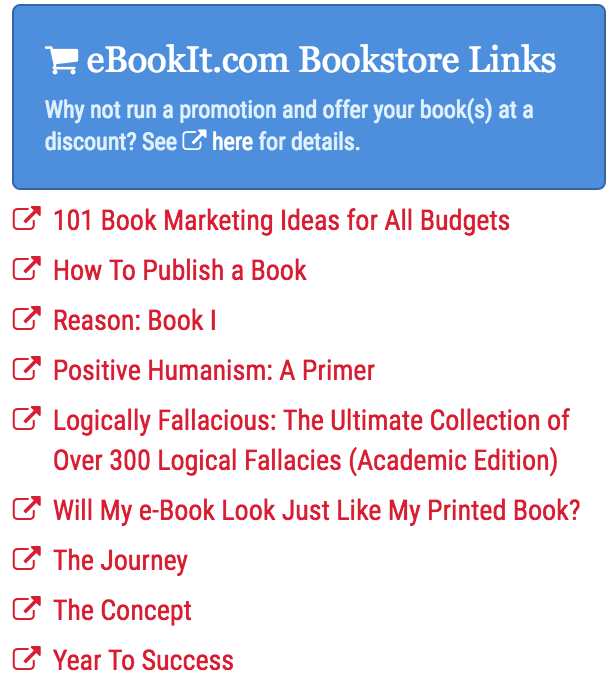 Once your ebook is published, unless you opted out of the eBookIt.com Bookstore, you will see your book's link in the "Client Area" on the right side of the screen under "eBookIt.com Bookstore Links"(you must be logged in to access the Client Area). Click on the link to your book, then copy the URL shown in your web browser. That is where you want to send people to buy your book.